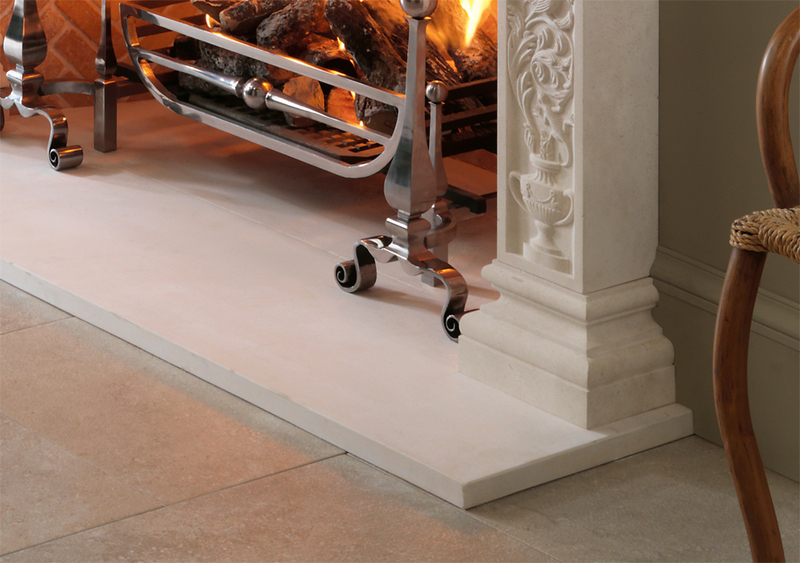 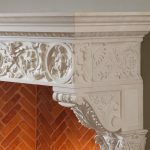 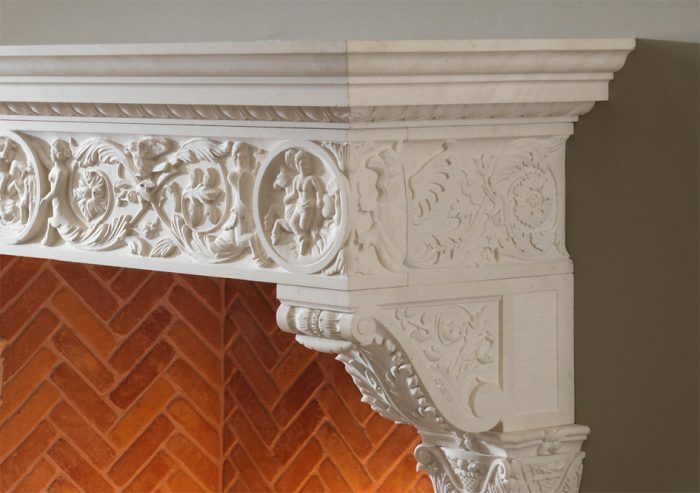 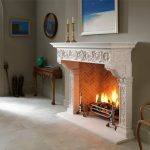 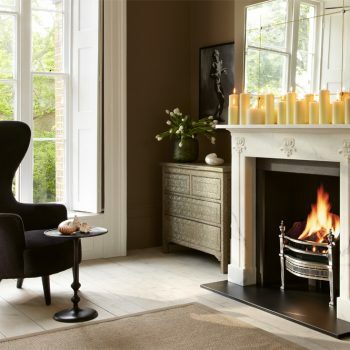 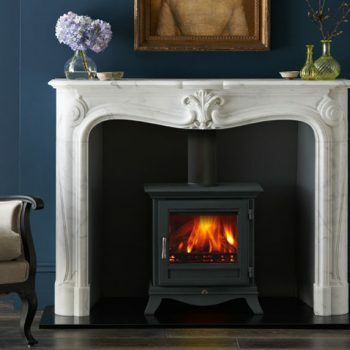 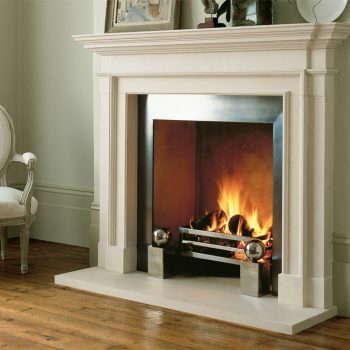 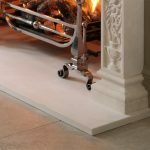 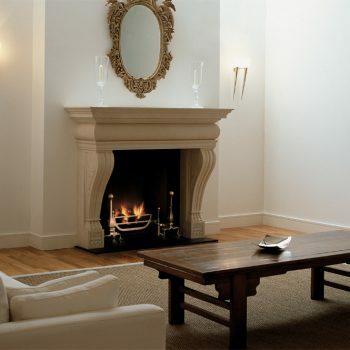 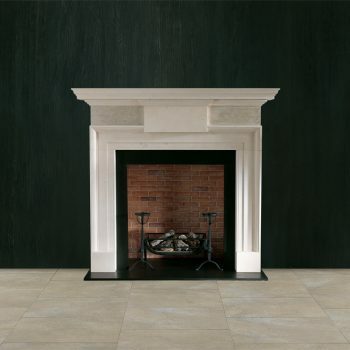 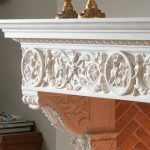 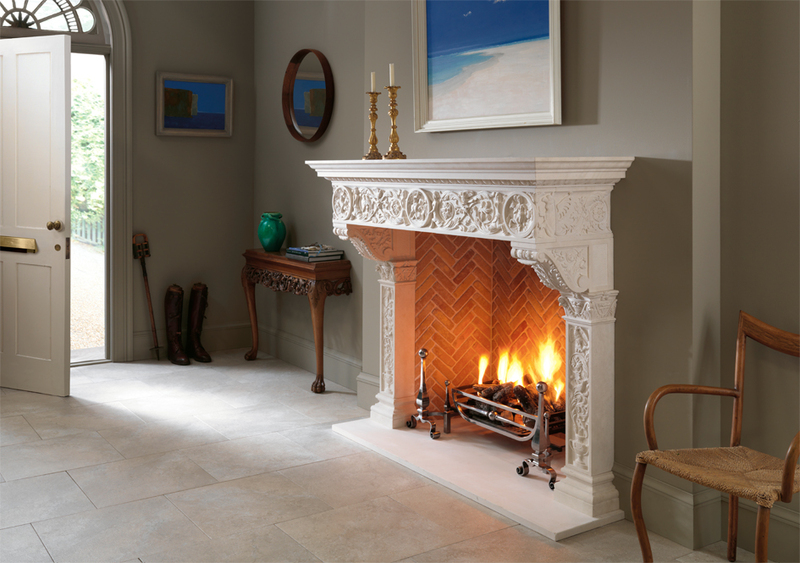 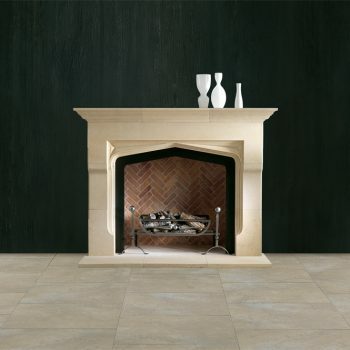 The Fiorenza is a copy of a Renaissance stone chimneypiece. 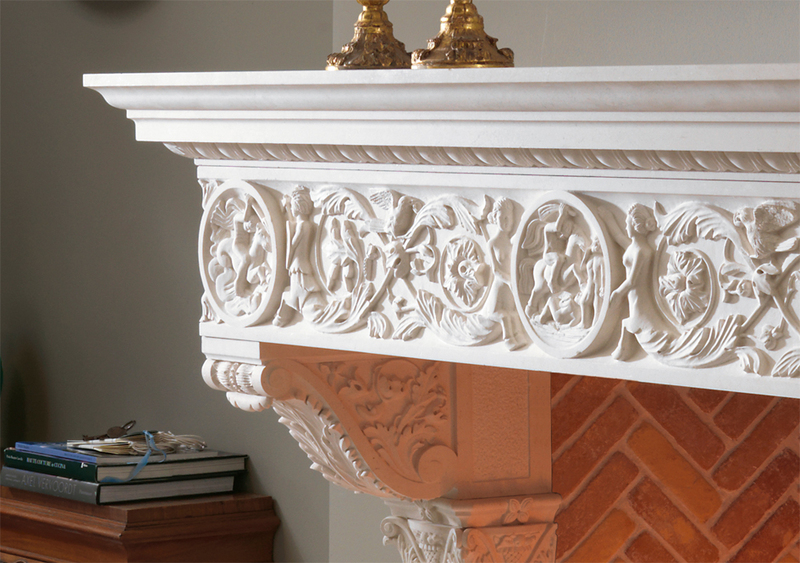 It displays delicate carved detail to the pilasters and frieze and a generously proportioned mantel shelf. 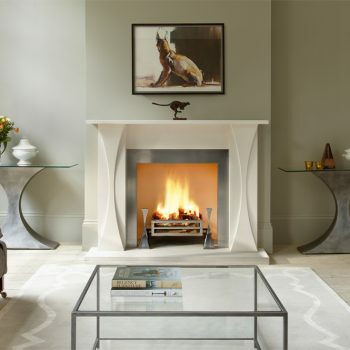 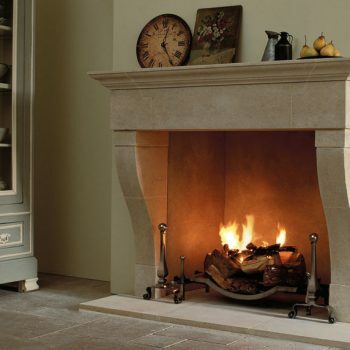 It is shown in limestone with unique Herringbone brick interior panels and forged steel Burton andirons with Morris fire basket for dogs and matching limestone hearth.